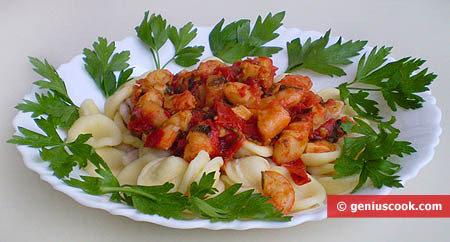 Tiger shrimp and ear-shaped pasta is a tasty and healthy dish. 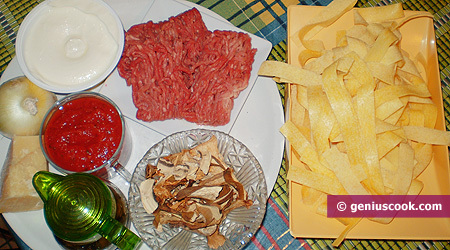 Ear-shaped pasta is called orecchiette in Italy; it is fresh hard wheat pasta. 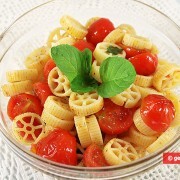 This pasta is not fattening, for all carbohydrates transform to sugar very slowly and are not stored in fat. And shrimps are rich with astaxanthin. 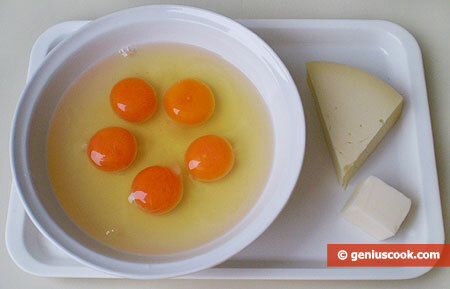 This substance is the leader among all healthy dish. 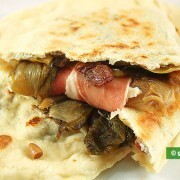 So this example of the Mediterranean cuisine is undoubtedly wholesome; besides, it is made with the best olive oil of first extraction which retains the taste, flavor and health benefits of fresh olives. 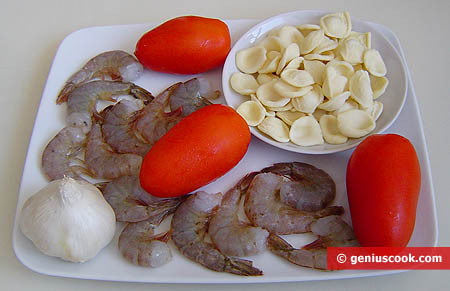 Drop shrimps into boiling water for 2 minutes, put them in a colander, drain water and peel the shells off the shrimps. Cut them into two or three pieces. 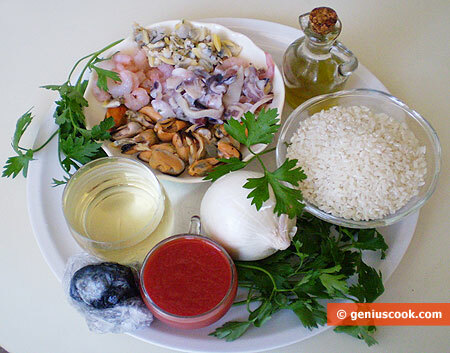 Pour olive oil into a thick-bottomed pan and fry finely chopped garlic until golden. Add parsley and chopped tomatoes. Cover and stew for about 5 minutes. Then add the chopped basil and wine. Continue stewing for about 2-3 minutes more. Afterwards put the shrimps into the sauce, salt to taste and turn the heat off after 2 minutes. The sauce with shrimps is ready. Now you can boil ear-shaped pasta. Pour three liters water into a big pot, salt and boil. 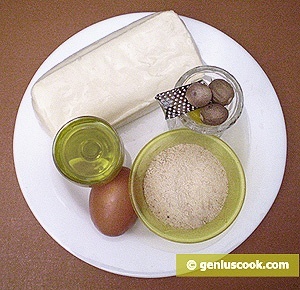 Drop ear-shaped pasta and cook according to the instruction, for about 8-10 minutes. Then put it in a colander to drain water and arrange them on serving plates, top with the shrimps and sauce. This dish is served hot.